The late night Christmas shopping market in Broadway is when the village really comes alive during the most popular public holiday. Festive crowds of Christmas shoppers gather over two consecutive Fridays to indulge in the village's late night curfew and generous offering of unique gifts that make the perfect Christmas presents for your friends and family. The evening is filled with Christmas festivities, street entertainers, pony sleigh rides, live music and lots of spirited seasonal shoppers! The two dates for the 2018 Christmas late night shopping event in Broadway are the last Friday in November (30th) and the first Friday in December (7th). 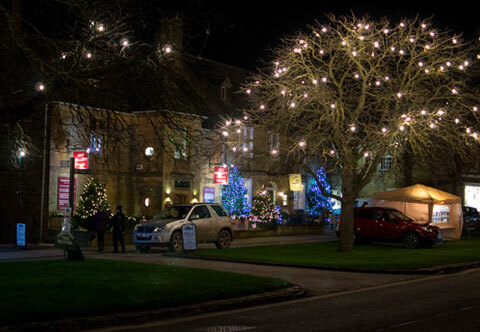 The shops stay open from 5.30pm to 8.30pm, inviting everyone to come along and join in with the festive fun. When you go, be sure to look out for the shops offering free mince pies and mulled wine!